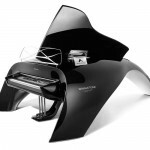 Designed for ACRYLICA, Falcon Piano features a luxurious, fully transparent digital piano. 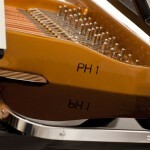 This music instrument is made out of 100% pure acrylic glass monomer. 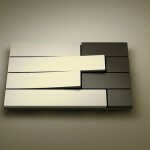 ACRYLICA is a Paris-based company that produces unique pieces mixing art, design, and functionality. 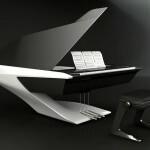 Inspired by ancient Egypt myth, Horus, the falcon headed God, this piano is designed with ultra modern streamline form. 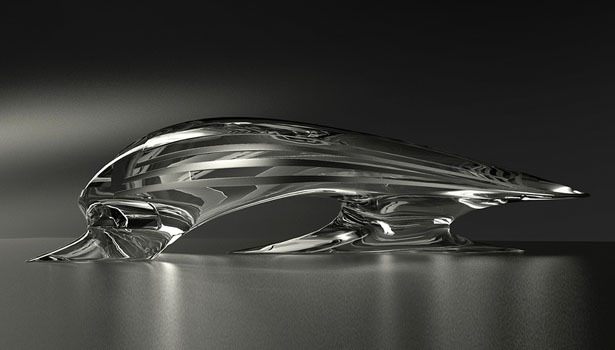 Futuristic, aggressive, and sharp. 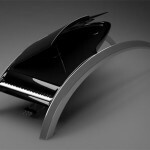 Falcon Piano by Apostol Tnokovski looks like a hunting falcon when seen from side, beautifully aggressive with its sharp lines. 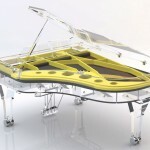 From above, this glass piano delivers surprising effect where it reveals a harmonious balance between organic lines and discipline required by classical music. 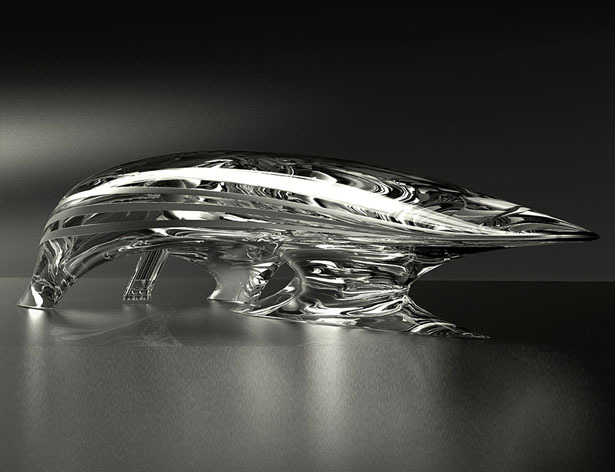 There are three brushed metal lines connect the Falcon’s head and tail underlying a spaceship visual form. 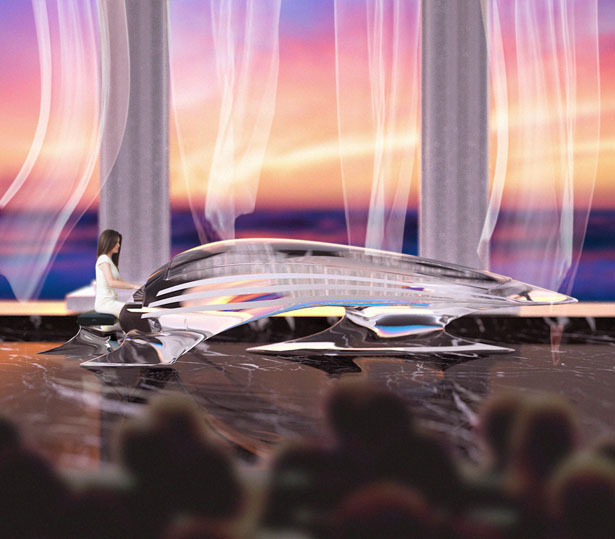 Tuvie received “Falcon Piano” project from our ‘Submit A Design‘ feature, where we welcome our readers to submit their design/concept for publication. 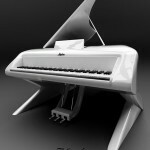 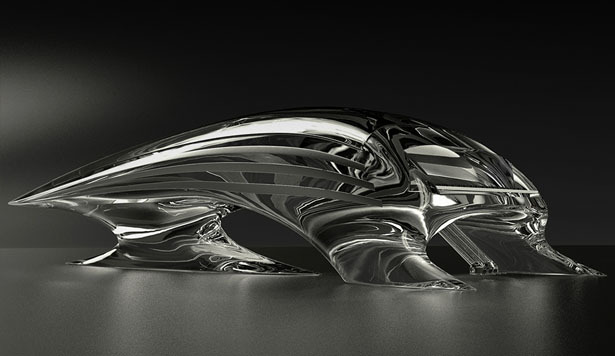 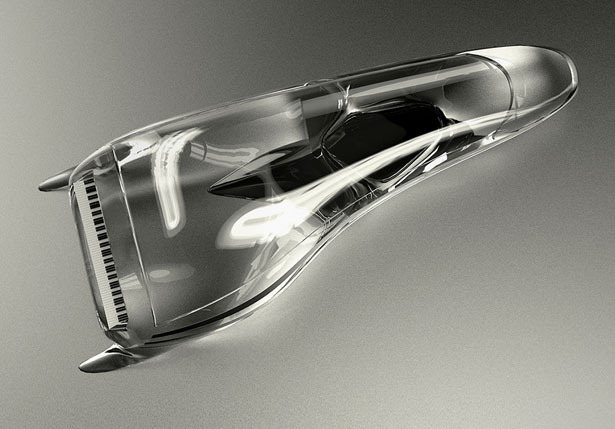 Tagged as futuristic piano design, grand piano made of glasses, modern fully transparent piano.